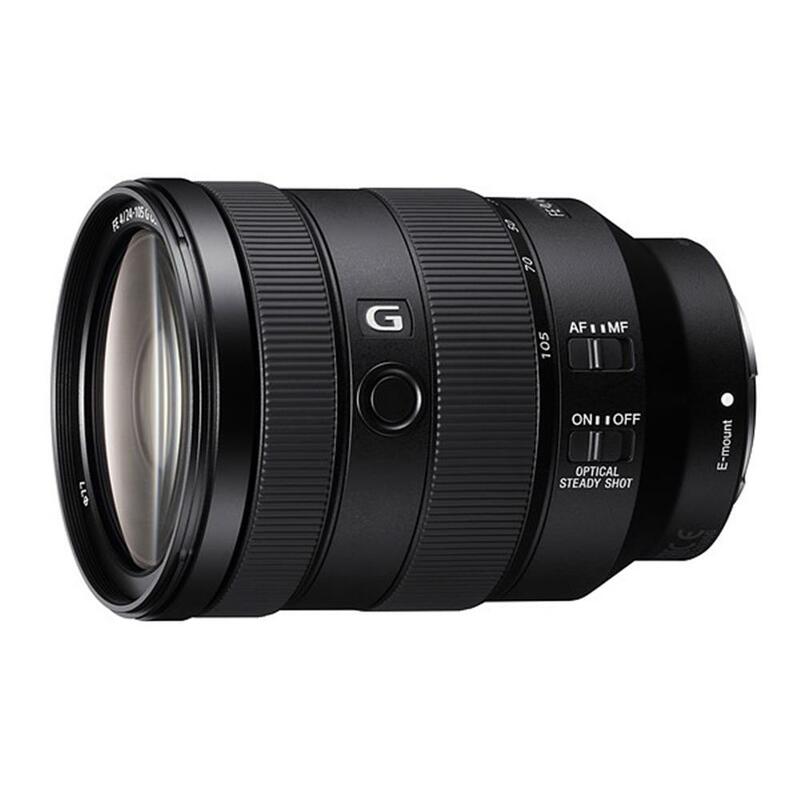 A wide 24-105 mm zoom range with constant F4 easily handles subjects such as portraits, snapshots, landscapes, architecture and more. This one lens will cover most shooting needs, minimizing the need to carry extra equipment. Three ED (Extra-low Dispersion) glass elements strategically deployed in the lens's optical path further enhance resolution by suppressing chromatic aberration. Excellent sharpness and natural colour reproduction are maintained right out to the image edges. In addition to a circular aperture design, precise control of the lens's spherical aberration shape contributes to the stunning balance between sharpness and luscious bokeh that is a hallmark of the G Lens brand. The ability to combine high resolution and smooth bokeh in creative imagery affords vast expressive potential. Excellent optical performance and a high zoom ratio are packed into a compact, lightweight design weighing only 663 grams (23.4 oz). The design extends to E-mount bodies for outstanding system mobility and handling ease. This one high-performance lens lets you shoot a wide range of subjects and situations. A minimum focus distance of 0.38 metres (1.25 ft) and built-in optical image stabilization further enhance all-around versatility. The overall design of this lens is dust and moisture resistant3 for extra protection and reliable operation in challenging environments. Shoot with confidence in light rain or windy conditions. A focus hold button, manual focus ring, AF/MF switch and other controls provide versatile fingertip operation. The focus hold button can be customized via a body menu that allows a variety of functions to be assigned to the button to match the user's needs.